Most of us have pets at home and we see to it that they have ample space to move around freely. They would need this provision, not only inside the home, but also outside. Just as exercise is important for us, it is also vital that our pets also have their daily workout routines. There are many forms of exercises that are beneficial for our pets. Most importantly, they need space where they can enjoy themselves. The lawn is probably the best place where pets can frolic in a safe atmosphere and would not need your constant attention. The major problem with having a natural lawn is that it is subjected to wear and tear. It will also require regular maintenance. The grass has to be watered daily and regular application of weed killers or fertilizers would be required. This would make the lawn unusable for sometime. Moreover, it also depends on where you are located, if the lawn grass is to grow well. Natural grass will bear the brunt of the weather throughout the year and become difficult to maintain. The lawn would either become hard and dry or turn into a muddy mess. Pet poop, is also another issue to consider. 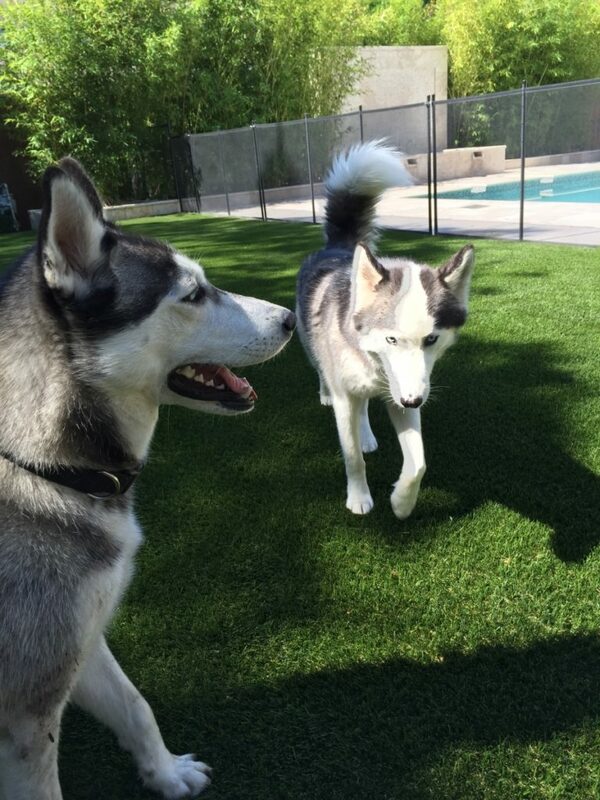 Fake grass for pets, is an ideal solution to all your problems. It will enable you to have a well-kept lawn, and at the same time provide the critical space required by your pets. The need for digging up your lawn to remove pet poop will not arise with fake grass. The faeces can be easily removed without damaging the lawn. The urine passes through the fake grass and is absorbed by the ground beneath and leaves no odour. In fact, any normal household cleaner can be used to sanitize the area. The potential of causing damage to the fake grass will not arise, as it is pliable, and can be easily cleaned. The grass does not lose its lustre or pliability by the vigorous activity of your pets. All the problems associated with natural grass can be avoided by using fake grass. Pets love the feel of artificial grass and enjoy playing on them. These fake lawns come in different shapes and sizes. You have therefore, a wide choice in the kind of lawn that would suit your home. We love our pets, and fake lawn for pets will provide an opportunity for them to have their own space and be contented.